The billionaire Indian Premier League starts Saturday aiming to prove that it is about the “spirit of cricket” rather than success at all costs, after the banning of Steve Smith and David Warner over a Test cheating storm. The lucrative but scandal-tainted Twenty20 tournament has spent the last few years battling its own series of controversies. So when news broke that Smith and Warner — who had both been due to captain IPL teams — had been barred by Cricket Australia for 12 months over last month’s ball-tampering row in South Africa, India’s cricket board quickly followed suit. With Smith’s side, the Rajasthan Royals, returning from a two-year corruption ban, they could not afford to have kept their disgraced skipper. Along with the Chennai Super Kings, the Royals are one of two franchises back in the Indian league this season after a two-year hiatus for separate illegal betting scandals. Meanwhile IPL founder Lalit Modi remains in self-imposed exile in Britain, refusing to return to India to face corruption charges. For the Board of Control for Cricket in India (BCCI), which earns huge sums from the lucrative Twenty20 tournament, the desire to avoid further controversy is clear. “The BCCI hopes that the cricketers participating in the IPL hold the highest regard for the spirit of cricket and code of conduct for players and match officials,” it said at the height of the Australia cheating storm. Rising Indian stars have been made well aware of the need to redeem cricket’s image in its stronghold country. 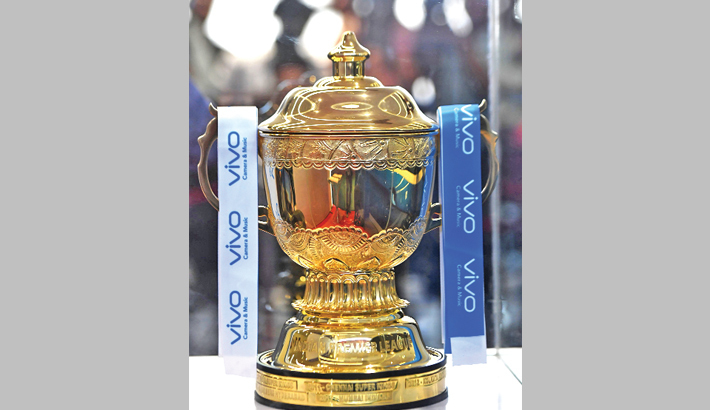 Despite the troubles, the IPL’s appeal is on the rise. Rupert Murdoch’s Star India signed a five-year $2.55 billion broadcast deal for IPL rights last year that gave a new boost to the coffers of the world’s wealthiest cricket board. And the pyrotechnics, cheerleaders and huge pay cheques have still attracted top foreign stars to play in India’s sweltering heat. The player auction held ahead of the new season was another show of India’s riches. England allrounder Ben Stokes will again be the player to watch after being bought by the Royals for $1.96 million in the January sale. New Zealand’s Kane Williamson will be in the spotlight after being appointed Hyderabad’s captain. Warner led the side to the IPL title in 2016. The Mahendra Singh Dhoni-led Super Kings will open the tournament, with its $8 million in prize money, against holders the Mumbai Indians at the Wankhede Stadium on Saturday night. The eight team tournament runs through to May 27 when the battle for the four million dollar first prize will be held in Mumbai.